Click on a link below to see how it can work for you. that provides an instant buzz! When a reward is due your customer gets notified whilst still at your counter! with the quickest card registration! 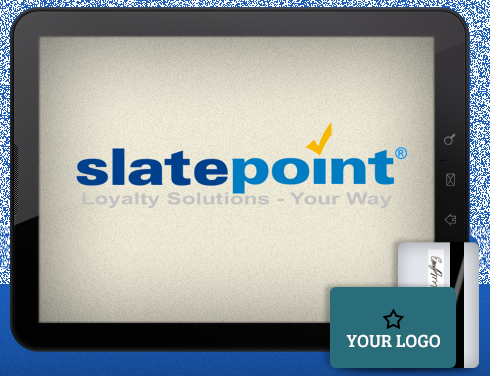 Register your customers directly on the tablet. No need for computers at the counter, no need for registration forms either. with the most sophisticated marketing tools! Target your customers with offers based on their spending. Compete head on with the big suppliers using our marketing software and services. Advertise your business at your counter. Use the quality display on the tablet to inform your customers of offers. Use the instant nature of our system to return customer details to your operator. No need for expensive smartcards! that personalises the customer experience! Mention offers on the things they buy regularly - at the point of sale! Customer joins Loyalty Club at retailer and receives their Loyalty Card. Data is instantly transmitted to head office. Data analysed and reports prepared. Customer reaches target and reward is issued in store. 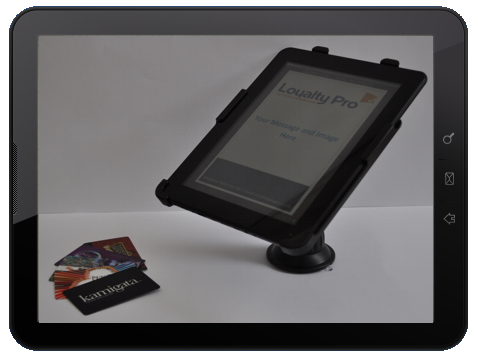 LoyaltyPro Ltd have been a supplier of Loyalty/Reward systems since 2006. We are registered in England and Wales under company number 5907642 and have our registered office at Network House, St Ives Way, Sandycroft, Deeside, Flintshire CH5 2QS. We are now able to offer Gift Card functionality either in conjunction with the the Loyalty Scheme or as a standalone Gift Card or Pre-Payment card system.